Three -star cornerback Jarvis Wilson has flipped his commitment from Mississippi State to Georgia. After visiting Athens for the Auburn game, Wilson changed his mind and announced his decision late last night on Twitter. Wilson (6-2, 197) currently attends Tupelo High School in Tupelo, Mississippi. He committed to the other Bulldogs back in May. Other schools that have offered Wilson include Louisiana Tech and UL Lafayette. He also had interest from Memphis and Ole Miss. 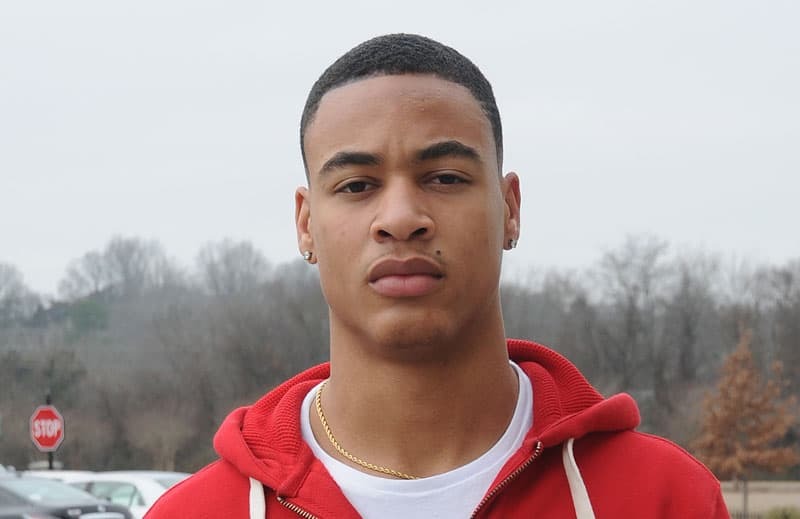 In the 247Sports Composite, Jarvis Wilson is rated as a three-star recruit, the No. 58 safety, and the No. 816 overall player in the country. He is also rated a three-star prospect and the No. 20 recruit in the state of Mississippi by Rivals.com. Scout.com rates Wilson as a three-star recruit and the No. 52 safety in the nation. Wilson’s commitment gives the Georgia Bulldogs 24 commitments for the 2015 class and five of those are in the secondary (not counting athletes), a big need for the Dawgs. Along with fellow defensive back commitment Jonathan Abram, Jarvis Wilson plans to enroll at UGA early and participate in Spring practice. UGA’s 2015 recruiting class is currently rated 2nd Rivals.com and 3rd by 247Sports.